La La Land will be the one to beat at this year’s Oscars, having scored a record-equalling 14 nominations. Ryan Gosling and Emma Stone are up for best actor and actress for their roles in the modern musical romance. It is also one of nine films up for the best picture award. Sci-fi film Arrival and coming-of-age drama Moonlight have eight nominations each, with the latter’s citations including a supporting actress nod for Britain’s Naomie Harris. The actress, who plays Miss Moneypenny in the James Bond films, said she was “over the moon” and “couldn’t be more thrilled”. “Moonlight is touching many hearts at a time when people are seeking compassion and connection in the world,” she continued in a statement. Other British contenders include Dev Patel, up for best supporting actor for Lion, and musician Sting, nominated for best song. Slumdog Millionaire star Patel told the BBC it felt “amazing” to receive his first Oscar nomination. La La Land’s 14 nominations puts it on the same footing as All About Eve and Titanic, which both received 14 nominations in 1951 and 1998 respectively. 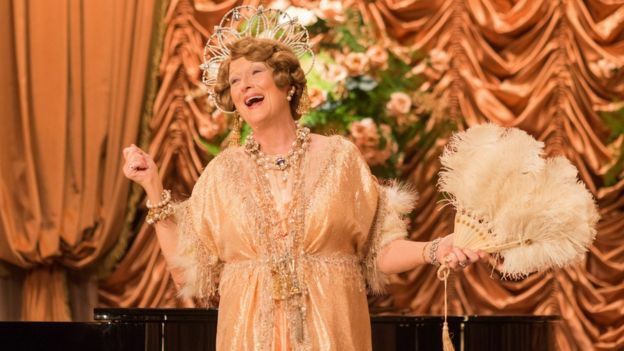 It is now the most nominated musical in Oscar history, having topped the 13 nods that Mary Poppins and Chicago received. Damien Chazelle is nominated both for his direction and original screenplay, while his film has two nominations in the best song category. The film, which received 11 Bafta nominations earlier this month, gets additional nods for its score, editing and cinematography. Yet its double best song nomination means it is unlikely to pull off a clean sweep – unless, that is, there is a tie in that category. Ben-Hur, Titanic and the third Lord of the Rings film share the record for Oscar wins, having each won 11 awards. Britain’s Andrew Garfield is nominated alongside Gosling in the best actor category for his role in war drama Hacksaw Ridge. Casey Affleck, Viggo Mortensen and Denzel Washington are also shortlisted for Manchester by the Sea, Captain Fantastic and Fences respectively. Natalie Portman, Ruth Negga and France’s Isabelle Huppert are also in contention for their roles in Jackie, Loving and Elle. In a statement, Emma Stone said she was “so grateful” for her best actress nomination and “overjoyed” La La Land had “connected with audiences”. Harris is joined in the supporting actress category by Fences star Viola Davis and Manchester by the Sea’s Michelle Williams. Williams said making the film was “incredibly rewarding” and that it was “truly an honour to be included among such amazing women”. In a statement, Kidman thanked Ampas (Academy of Motion Picture Arts and Sciences) “for all of the acknowledgements you have given this heartfelt film”. Moonlight’s Mahershala Ali, Manchester by the Sea’s Lucas Hedges and Hell or High Water’s Jeff Bridges are also up for best supporting actor. The line-up is completed by Michael Shannon, a surprise nominee for his role as a grizzled sheriff in Tom Ford’s Nocturnal Animals. Many had expected his British co-star Aaron Taylor-Johnson to be nominated following his triumph at the Golden Globes earlier this month. If Chazelle wins best director, he will be the youngest person ever to receive the award. Mel Gibson is also up for the director prize, as is Arrival’s Denis Villeneuve, Moonlight’s Barry Jenkins and Manchester by the Sea’s Kenneth Lonergan. Gibson, shortlisted for Hacksaw Ridge, is the only previous Oscar winner to be shortlisted, though both Chazelle and Lonergan have been previously nominated for their writing. “What could be more exciting than listening to the nominations being announced while holding my newborn son!” said Gibson, who became a father for the ninth time last week. 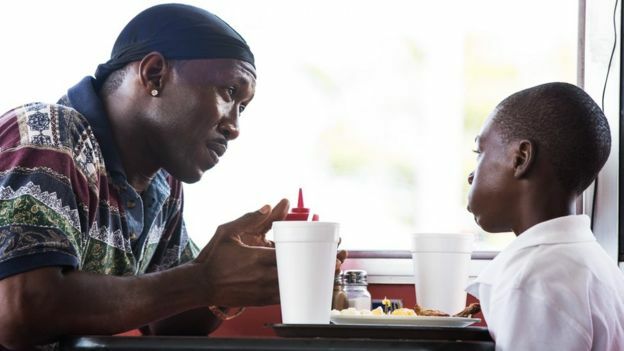 Jenkins, who is also recognised for writing Moonlight’s screenplay, said he was “moved beyond words by the love that was shown by the Academy” on Tuesday. 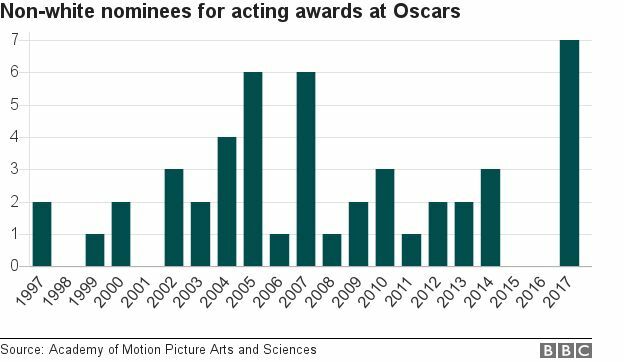 This contrasts with 2015 and 2016’s nominations, which were criticised for having all-white line-ups in the acting categories. Other familiar names to have received nominations include pop star Justin Timberlake, who is up for best song for his chart-topping Trolls track Can’t Stop the Feeling. Sting’s citation in that category comes for The Empty Chair. The song appeared in Jim: The James Foley Story, a documentary about the American photojournalist killed by Islamic State militants in 2014. How Far I’ll Go, from Disney animation Moana, joins La La Land tracks Audition and City of Stars on the five-strong best song shortlist. Hamilton creator Lin-Manuel Miranda, who co-wrote How Far I’ll Go, celebrated his nomination with a series of Twitter emojis. Moana gets a second nomination for best animated feature alongside fellow Disney release Zootopia – released as Zootropolis in the UK. French film My Life as a Zucchini, Japanese animation The Red Turtle and US release Kubo and the Two Strings are also shortlisted. Kubo gets an additional nomination in the visual effects category – the first animated film to do so since 1993’s The Nightmare Before Christmas. Films from Australia, Denmark, Germany, Iran and Sweden make up the shortlist in the best foreign language film category. They include the German comedy Toni Erdmann and Tanna, the first film shot entirely in the group of South Pacific islands known as Vanuatu, which is Australia’s entry. The best score category sees Britain’s Mica Levi shortlisted for her work on Jacqueline Kennedy biopic Jackie. Her competition includes Thomas Newman, who receives his 14th Oscar nomination for his work on Passengers. The nominees also include the late playwright August Wilson, up for best adapted screenplay for Denzel Washington’s film Fences. US comedian and talk show host Jimmy Kimmel will host this year’s Oscar ceremony on 26 February. La La Land leads Oscar nominations 2017 with 14 nods 0 out of 5 based on 0 ratings. 0 user reviews.